Jerry’s Artarama was looking for a unique, creative angle for their 2012 catalog cover. In the initial discovery phase, they reached out to us to help explore possible directions. The designers at here at Picture Mosaics knew straight away that our trendsetting Multi-size Mosaic technique would result in an extraordinary cover. 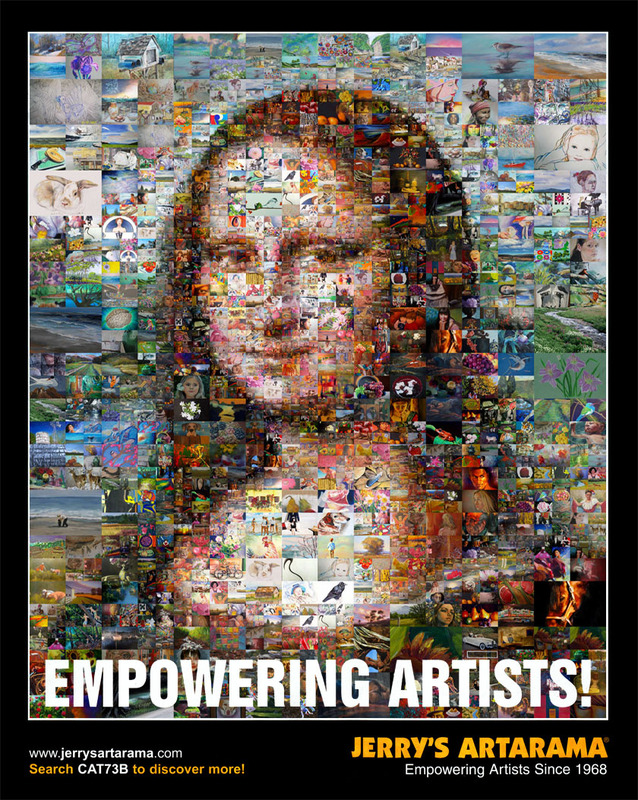 Utilizing images that Jerry’s Artarama gathered over the years, the very first Multi-size Mona Lisa photo mosaic was born. This entry was posted in Art, Fine Art, Magazines, Mosaics, Multi-size Mosaics, Photo Mosaics and tagged art, Jerry's Artarama, magazine covers, mosaics, multi-size, photo mosaics, picture mosaics on December 20, 2012 by Robert DeCarolis. To celebrate the 40 year anniversary of Jimi Hendrix’s final studio album, Electric Ladyland, Guitar World magazine turned to Picture Mosaics for inspiration. 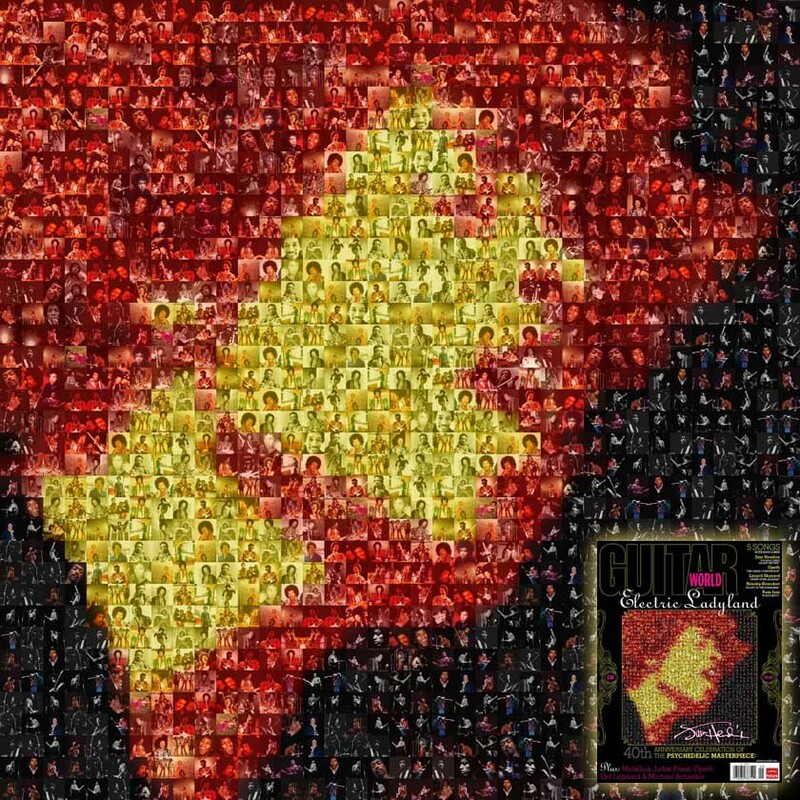 The final photo mosaic design featured a collection of images of Jimi Hendrix to create the original album artwork of Electric Ladyland. The mosaic was featured on the cover of Guitar World’s September issue of 2008. This entry was posted in Art, Magazines, Mosaics, Photo Mosaics and tagged covers, Guitar World Magazine, Jimi Hendrix, magazines, mosaics, photo mosaics, picture mosaics on October 20, 2008 by Robert DeCarolis.